Better understanding of how genetic and epigenetic components control beta cell differentiation and function is key to the discovery of novel therapeutic approaches to prevent beta cell dysfunction and failure in the progression of type 2 diabetes. Our goal was to elucidate the role of histone deacetylase sirtuin 6 (SIRT6) in beta cell development and homeostasis. Sirt6 endocrine progenitor cell conditional knockout and beta cell-specific knockout mice were generated using the Cre-loxP system. Mice were assayed for islet morphology, glucose tolerance, glucose-stimulated insulin secretion and susceptibility to streptozotocin. Transcriptional regulatory functions of SIRT6 in primary islets were evaluated by RNA-Seq analysis. Reverse transcription-quantitative (RT-q)PCR and immunoblot were used to verify and investigate the gene expression changes. Chromatin occupancies of SIRT6, H3K9Ac, H3K56Ac and active RNA polymerase II were evaluated by chromatin immunoprecipitation. Deletion of Sirt6 in pancreatic endocrine progenitor cells did not affect endocrine morphology, beta cell mass or insulin production but did result in glucose intolerance and defective glucose-stimulated insulin secretion in mice. Conditional deletion of Sirt6 in adult beta cells reproduced the insulin secretion defect. Loss of Sirt6 resulted in aberrant upregulation of thioredoxin-interacting protein (TXNIP) in beta cells. SIRT6 deficiency led to increased acetylation of histone H3 lysine residue at 9 (H3K9Ac), acetylation of histone H3 lysine residue at 56 (H3K56Ac) and active RNA polymerase II at the promoter region of Txnip. SIRT6-deficient beta cells exhibited a time-dependent increase in H3K9Ac, H3K56Ac and TXNIP levels. Finally, beta cell-specific SIRT6-deficient mice showed increased sensitivity to streptozotocin. Our results reveal that SIRT6 suppresses Txnip expression in beta cells via deacetylation of histone H3 and plays a critical role in maintaining beta cell function and viability. Sequence data have been deposited in the National Institutes of Health (NIH) Gene Expression Omnibus (GEO) with the accession code GSE104161. The online version of this article ( https://doi.org/10.1007/s00125-017-4542-6) contains peer-reviewed but unedited supplementary material, which is available to authorised users. Beta cells, the major cell type in the endocrine pancreas, control glucose homeostasis by secreting insulin in response to blood sugar level . Dysfunction of beta cells and impaired insulin sensitivity of peripheral tissues lead to type 2 diabetes . Histone modifications, including acetylation, methylation, phosphorylation and ubiquitination, affect the accessibility of genetic information by altering the physical interaction of DNA, histones and non-histone proteins . Studies have shown that histone acetylation and deacetylation play pivotal roles in regulating endocrine differentiation and beta cell maturation and function . In addition, histone acetylation and deacetylation are implicated in the pathogenesis of diabetes . Thus, targeting such mechanisms may provide a potential approach to treat diabetes . The biochemical reactions of histone acetylation and deacetylation in cells are executed by catalytic enzymes called histone acetyltransferases (HATs) and histone deacetylases (HDACs) . Despite the identification of more than 20 HATs and 18 HDACs [6, 7], the expression pattern and precise function of these specific enzymes in beta cells are not yet fully understood. Furthermore, despite extensive studies conducted in vitro, the physiological functions of these proteins have not been completely established . Sirtuins, first identified in yeast as ageing regulators, belong to the class III HDACs . There are seven members in the mammalian sirtuin family (sirtuin 1–7) , all of which exhibit NAD-dependent deacetylation activity. However, different sirtuins act on different substrates and are localised in specific subcellular compartments . For example, SIRT6 is closely associated with chromatin and works as a transcriptional co-suppressor by catalysing the deacetylation of histone H3 lysine residues acetylated at positions 9, 56 and 18 (H3K9Ac, H3K56Ac and H3K18Ac) [11, 12, 13]. Prior genetic studies showed that SIRT6 is essential for mouse development and plays versatile roles in regulating glucose homeostasis, lipid metabolism and many other processes . To elucidate the role of SIRT6 in beta cell development and homeostasis, we generated endocrine pancreas-specific (EKO) and beta cell-specific knockout (BKO) mouse models in which Sirt6 was deleted at the embryonic and adult stages, respectively. By taking advantage of transcriptome analysis, we further investigated the underlying mechanisms by which SIRT6 contributes to endocrine pancreas functions. All mouse studies were approved by the Institutional Animal Care and Use Committee of the University of Texas Health Science Centre at San Antonio. The Sirt6 flox/flox (f/f) , Ngn3-Cre  (Ngn3 is also known as Neurog3) and mouse insulin promoter 1-driven, inducible CreERT transgenic line (MIP1-CreERT)  mice were obtained from the Jackson Laboratory (Bar Harbor, ME, USA) and maintained in a mix genetic background. Mice were housed in a conventional facility with a 12 h night–day cycle and free access to food and water. Mouse genotyping was performed using a dirty-tail method as previously described . Tamoxifen (T5648; Sigma, St Louis, MO, USA) was used to delete the floxed Sirt6 allele via the MIP1-CreERT system . Male mice at 2–11 months old and female mice at 2–9 months old were used in the analysis. For all the experiments, Sirt6 EKO mice or Sirt6 BKO mice and their littermate control mice (see electronic supplementary material [ESM] Fig. 1a and ESM Fig. 4 for the breeding strategy) were selected by genotype and were randomly assigned a unique label in the tail, with the genotype blinding to operators until experiments were completed. No data were excluded in all the analysis. See ESM Table 1 and ESM Methods for genotyping primers and experimental procedures for tamoxifen injection, verapamil (V4629; Sigma) treatment and streptozotocin (STZ) (S0130; Sigma) challenge. Changes in pancreas and islet architecture were revealed by H&E staining and anti-insulin, anti-glucagon and anti-somatostatin immunostaining. Beta cell apoptosis was determined by anti-cleaved caspase 3 immunostaining. The metabolic studies, including glucose measurement, insulin measurement, IPGTT, ITT and hyperglycaemic clamp were performed as previously reported . See ESM Methods for details. Islets were isolated by collagenase perfusion and used for determination of glucose-stimulated insulin secretion as previously described . See ESM Methods for details. Sirt6 mRNA levels in Ngn3-null and Ngn3-positive cells at mouse embryonic day 15.5 (E15.5) were generated using data from Table S6 in Benitez et al . Sirt6 and Txnip mRNA levels in isolated islets were determined by reverse transcription (RT) quantitative (q)-PCR. See ESM Methods for details. SIRT6, thioredoxin-interacting protein (TXNIP), H3K9Ac, H3K27Ac and H3K56Ac levels were determined by immunoblotting. See ESM Methods for details. Islets isolated from 2 weeks post-tamoxifen control (Sirt6f/+; MIP1-CreERT) and Sirt6 BKO (Sirt6f/f; MIP1-CreERT) mice and 2-month-old control (Sirt6+/+; Ngn3-Cre or Sirt6f/f) and Sirt6 EKO (Sirt6f/f; Ngn3-Cre) mice were used for the RNA-Seq analysis. See ESM Methods for details. Chromatin occupancies of SIRT6, IgG, H3K9Ac, H3K56Ac and Active RNA polymerase II in beta cells were determined by chromatin immunoprecipitation (ChIP) . See ESM Methods for details. All results are presented as means ± SEM. Statistical analysis was performed by two-tailed Student’s t test. p values <0.05 were considered statistically significant. Gene expression profiles of pancreatic cells throughout different stages of mouse pancreas development were analysed previously . Using the data from this study (Table S6) we found that Sirt6 transcripts were expressed at a much higher level in E15.5 neurogenin 3 (NGN3)-expressing endocrine progenitor cells than in Ngn3-null cells (Fig. 1a) . In the adult mouse pancreas, Sirt6 transcripts and proteins were also expressed highly in isolated islets (Fig. 1b, d). To examine the role of SIRT6 in endocrine pancreas development and function, we generated an EKO mouse model (Sirt6f/f; Ngn3-Cre) by crossing Sirt6f/f mice with the Ngn3-Cre strain (ESM Fig. 1a) . As expected, the Sirt6 transcripts and proteins were undetectable in islets isolated from mutant mice (Fig. 1c, d), indicating efficient deletion of the Sirt6 gene in the endocrine pancreas. The EKO mice were born at the expected Mendelian ratio and displayed no overt phenotype. To test whether loss of Sirt6 affects endocrine morphology, we collected pancreases from 2-month-old control and EKO mice and performed histological analysis. No obvious differences between the pancreases of the two groups were revealed by H&E staining (data not shown). Furthermore, immunostaining for insulin and glucagon showed no apparent changes in islet architecture or islet number (Fig. 1e, f and ESM Fig. 1b). Endocrine cell mass analysis showed no change in beta cell mass in EKO mouse pancreases (Fig. 1g). However, alpha cell mass showed a decrease (not statistically significant) and delta cell mass showed a statistically significant increase (ESM Fig. 1c, d). These data are consistent with the results reported from recent studies in which Sirt6 was knocked out in early pancreas and beta cells [25, 26]. Thus, deletion of Sirt6 in NGN3-expressing progenitor cells does not affect beta cell development or endocrine pancreas gross morphology. Next, we assessed the effect of Sirt6 knockout on glucose homeostasis function of the endocrine pancreas. During fasting or feeding, blood glucose and plasma insulin levels of mutant mice were comparable with those of their littermate controls (Fig. 2a, b). However, an IPGTT revealed a severe glucose intolerance phenotype in 2- to 3-month-old Sirt6 EKO mice (Fig. 2c, d and ESM Fig. 2a, b). We found that insulin levels during the IPGTT were significantly lower in the Sirt6 EKO mice than in control mice at 15 min (Fig. 2e), implying that the defect in the EKO mice may be due to insulin insufficiency. Moreover, we found that the glucose intolerance phenotype became more severe in 5- to 6-month-old Sirt6 EKO mice, as indicated by the AUC of the GTT, which increased from 147% to 205% of the control value (Fig. 2d, g and ESM Fig. 2c, d), suggesting that the phenotype worsened over time. An ITT showed that in mice aged 8–10 months, the response to insulin of peripheral tissues was the same in Sirt6 EKO mice as in control mice (ESM Fig. 3), further pointing to defective insulin production or secretion as being the cause of the impaired glucose tolerance . Sirt6 EKO mouse pancreases had normal total insulin content (Fig. 3a). Thus, our data supported the notion that the phenotype was caused by an insulin secretion defect of the endocrine pancreas. To test this, we isolated islets from the mice and performed a glucose-stimulated insulin secretion assay in vitro. As expected, upon incubation with a high concentration of glucose, the amount of insulin released from Sirt6 EKO cells was only one-third of that release by cells from control mice (Fig. 3b). Furthermore, during a hyperglycaemic clamp procedure to evaluate beta cell function in vivo, we observed that Sirt6 EKO mice required a significantly lower glucose infusion rate to maintain the glucose level at approximately 16 mmol/l (Fig. 3c, d), and that plasma insulin concentrations of EKO mice were much lower than those of their control littermates (Fig. 3e, f). Thus, combined in vitro and in vivo results illustrate that deletion of Sirt6 in the endocrine pancreas leads to defective glucose-stimulated insulin secretion. Given the fact that NGN3 progenitor cells generate other cell types besides beta cells during development , we sought to determine whether the Sirt6 EKO phenotype was intrinsic to beta cells. To this end, we generated Sirt6 BKO mice, with beta cell-specific Sirt6 deletion, by intercrossing the floxed Sirt6 mice with MIP1-CreERT mice (ESM Fig. 4) . Two weeks following tamoxifen treatment, SIRT6 transcript and protein levels in primary islets isolated from Sirt6 BKO (Sirt6f/f; MIP1-CreERT) mice were reduced to less than 20% of normal (Fig. 4a, b). The remaining signals were likely due to the expression of SIRT6 in alpha cells or other types of endocrine cells . Similar to Sirt6 EKO mice, Sirt6 BKO mice had normal fasting and fed glucose levels (Fig. 4c) but displayed glucose intolerance because of insufficient insulin secretion (Fig. 4d–f). Notably, the insulin levels in Sirt6 BKO mice at 0 min were lower than those in control mice, which was not observed in our Sirt6 EKO mice (Fig. 2e), highlighting the difference between the two models. Moreover, in line with our observations made in Sirt6 EKO mice of different ages, the glucose intolerance phenotype worsened over time in Sirt6 BKO mice as well (Fig. 4g–j), further confirming that the phenotype was largely due to Sirt6 deletion in beta cells. Together, these findings demonstrate that SIRT6 is required for glucose-stimulated insulin secretion in beta cells. To gain mechanistic insight into how SIRT6 regulates glucose-stimulated insulin secretion, we analysed the transcriptomes of the islets isolated from control and mutant mice (two pairs of Sirt6 BKO mice, 2 weeks post-tamoxifen and two pairs of Sirt6 EKO mice, 2 months old) by RNA-Seq. Out of roughly 20,000 genes evaluated, a total of 99 and 243 genes were upregulated or downregulated more than 1.5-fold in the islets from Sirt6 BKO mice and Sirt6 EKO mice, respectively (GSE104161). In agreement with data shown in Fig. 3a, the levels of insulin-encoding mRNA (Ins1 and Ins2) were comparable in control and mutant islets. Additionally, the expression levels of genes associated with the occurrence of maturity-onset diabetes of the young or type 2 diabetes, such as Pdx1, Hnf4a and Neurod1, were unaltered in mutant islets . To our surprise, only a subset of 23 genes showed a similar trend in both models: 18 were upregulated and 5 were downregulated (Fig. 5a, b). Nevertheless, a hypergeometric probability test revealed that this overlap was highly significant (p < 1.96 × 10−10; Fig. 5a). Among the upregulated genes in mutant islets, Txnip encodes a ubiquitous thioredoxin-binding protein that suppresses the antioxidant activity of thioredoxin, which is essential for eliminating reactive oxygen species (ROS) in cells . It has been reported that TXNIP expression is negatively associated with glucose-stimulated insulin secretion in beta cells and that overexpression of TXNIP inhibits insulin secretion [29, 30, 31]. To test the hypothesis that TXNIP mediated the insulin secretion defect in the Sirt6 KO beta cells, we first validated the change in TXNIP expression in SIRT6-deficient islets by immunoblot. As expected, TXNIP protein levels were significantly upregulated in islets isolated from 3-month-old Sirt6 EKO mice (Fig. 5c, d). Simultaneously, we also detected a higher level of H3K9Ac in the Sirt6 EKO islets (Fig. 5c), reflecting that loss of the histone deacetylation function of SIRT6 was correlated with elevated expression of Txnip. Verapamil has been shown to repress Txnip transcription . We tested whether reducing TXNIP levels by verapamil could partially rescue the impaired glucose tolerance in SIRT6-deficient mice (ESM Fig. 5a). After three weeks oral verapamil treatment (100 mg/kg per day), the immunoblot analysis showed that islets isolated from the two groups expressed similar levels of TXNIP, yet islets from Sirt6 EKO mice still had higher H3K9Ac levels (ESM Fig. 5d). Consistent with the previous findings , verapamil lowered the overall glucose level in both control and Sirt6 EKO mice at 8–9 months old (ESM Fig. 5b, f). Analysis of blood glucose during a GTT showed that the Sirt6 EKO mice manifested largely restored tolerance to glucose (ESM Fig. 5e, f). Indeed, five out of six Sirt6 EKO mice showed a similar response to that of control mice. Concurrently, plasma insulin levels of verapamil-treated Sirt6 EKO mice increased 1.5-fold at 15 min after glucose challenge (ESM Fig. 5h, p = 0.05). Note that plasma insulin levels of verapamil-treated control mice increased 1.8-fold and that there was no increase in Sirt6 EKO mice before verapamil treatment (ESM Fig. 5h, d). Together, these data suggest that verapamil treatment partially restored glucose-stimulated insulin secretion in Sirt6 EKO mice, indicating that TXNIP is likely a mediator of the insulin secretion defect in SIRT6-deficient beta cells. As glucose is a potent inducer of TXNIP , we next examined the influence of SIRT6 deficiency on glucose-induced Txnip transcription. To this end, we isolated islets from overnight fasted mice and cultured them in serum-free medium with 2.5 mmol/l glucose. Note that this concentration is lower than the fasting glucose concentration in vivo (~5 mmol/l). Interestingly, we found that in this condition, Txnip mRNA levels in islets isolated from 3-month-old Sirt6 EKO mice were 1.5-fold higher than those in control islets (Fig. 6a), suggesting that there was a basal upregulation of TXNIP in the mutant islets. Upon incubation of control islets with 16.7 mmol/l glucose for 1 h, Txnip mRNA levels increased 1.5-fold and reached the level found in Sirt6 EKO islets in the basal condition (Fig. 6a). In contrast, high glucose treatment of Sirt6 EKO islets induced a 3.3-fold increase in Txnip mRNA beyond its higher basal level (Fig. 6a). TXNIP immunoblot showed consistent results (Fig. 6b, c). These data support the idea that SIRT6 suppresses both basal and glucose-induced TXNIP expression in normal beta cells. In addition, we found that the acute glucose treatment did not affect upregulated H3K9Ac levels in the mutant islets (Fig. 6b). Together, these findings suggest that loss of Sirt6 leads to impaired regulation of TXNIP in beta cells. To determine whether Txnip is directly regulated by SIRT6, we examined chromatin occupancy of SIRT6 at the Txnip promoter region by ChIP. SIRT6-positive signals were highly enriched at the transcriptional start site (TSS) of Txnip, compared with the region 2 kb upstream of the Txnip TSS (−2 kb) (Fig. 7a, b). Cis-regulatory elements of the Txnip gene are near its TSS (−169 bp to −73 bp) . Thus, this result indicates that SIRT6 is mainly located in the active transcription region of its target, consistent with a previous SIRT6 ChIP-seq study . To further clarify how SIRT6 regulates Txnip expression, we analysed several SIRT6-catalysed histone H3 modifications by immunoblot . Sirt6 EKO mouse islets expressed a significantly higher level of H3K9Ac and H3K56Ac compared with control mouse islets (Fig. 7c–e). In contrast, the level of another histone H3 modification, H3K27Ac, which has been linked to SIRT6 deacetylation activity in vitro , was similar in control and EKO islets (Fig. 7f, g). These results show that loss of SIRT6 leads to an aberrant global increase in H3K9Ac and H3K56Ac in beta cells. Next, we compared H3K9Ac and H3K56Ac ChIP signals at the local promoter regions of Txnip in islets isolated from 3-month-old control and Sirt6 EKO mice under normal feeding. Consistent with the reported role of H3K9Ac and H3K56Ac in transcriptional activation and our earlier SIRT6 ChIP data, we detected significant enrichment of both markers at the TSS of the Txnip gene in the control islets. After loss of SIRT6, the H3K9Ac level at the TSS was further elevated around twofold, whereas it was unaltered at −2 kb (Fig. 7h). In contrast, the H3K56Ac level was upregulated about twofold at −2 kb but not at the TSS of Txnip (Fig. 7i). These results suggest that SIRT6 deficiency resulted in a more open chromatin state around the Txnip promoter region. Since we did not find that SIRT6 was present at the −2 kb region of the Txnip gene (Fig. 7a), it is currently unclear whether this inconsistency was due to low ChIP signal of SIRT6 when chromatins were prepared from a limited number of cells . To further confirm the influence of these changes on Txnip gene transcription, we performed phospho-Ser5-RNA polymerase II ChIP. As expected, active RNA polymerase II intensity in the mutant islets was twofold higher than in control islets at both the TSS and −2 kb (Fig. 7j). Taken together, these findings suggest that SIRT6 directly suppresses Txnip expression in beta cells through deacetylation of H3K9 and H3K56 at the promoter region of Txnip. While investigating the impact of Sirt6 knockout on H3 lysine acetylation, we serendipitously found that the increased H3K9Ac and H3K56Ac levels in islets from Sirt6 BKO mice were more evident when they were from mice at a much later time point post-tamoxifen treatment (ESM Fig. 6a). This was correlated with an increase in Txnip mRNA level (ESM Fig. 6b). The time-dependent increase in H3K9Ac, H3K56Ac and TXNIP levels post-tamoxifen treatment or with age were reproduced in both the BKO and EKO model (ESM Fig. 6c and Fig. 8a), excluding the possibility that this was due to prolonged tamoxifen-induced gene recombination, as reported previously . Together, these results suggest that loss of Sirt6 leads to a progressive accumulation of H3K9Ac and H3K56Ac and sustained upregulation of TXNIP in beta cells, which is likely to be the molecular basis of the time-dependent worsening of glucose intolerance in the SIRT6-deficient mice. As TXNIP expression is associated with beta cell apoptosis , we next examined whether TXNIP accumulation affects the viability of SIRT6-deficient beta cells, especially in older Sirt6-knockout mice. Of note, the islet mass of 11-month-old Sir6 EKO mice did not differ appreciably from that of control mice (Fig. 8b, c), indicating that upregulation of TXNIP in SIRT6-deficient beta cells did not cause spontaneous cell death. Next, we tested whether SIRT6-deficient beta cells are sensitive to STZ , a genotoxic agent. As STZ selectively acts on beta cells, we directly treated the mice with STZ. Interestingly, the older SIRT6-deficient mice (>6 month old) showed a more dramatic response to STZ treatment than the older control mice or younger mice (2 months old) in both EKO and BKO models (Fig. 8d–g and ESM Fig. 6d, e). Upon a single injection of STZ (75 mg/kg for Sirt6 EKO mice and 140 mg/kg for Sirt6 BKO mice), all older SIRT6-deficient mice displayed hyperglycaemia (blood glucose level >16 mmol/l) after 2 days, due to insulin insufficiency (Fig. 8g). Consistent with this finding, a massive beta cell loss was observed within 2 days of STZ treatment of older SIRT6-deficient mice, as demonstrated by cleaved caspase 3, H&E and insulin staining (Fig. 8h–j). These findings suggest that long-term deficiency of SIRT6 in beta cells affects beta cell survival, which is correlated with sustained upregulation of TXNIP. In this study, we reported that SIRT6 is not required for beta cell development but is essential for insulin secretion function of beta cells. Our unbiased gene expression profiling studies identified Txnip as a SIRT6 target. Concurrently, inhibition of TXNIP by verapamil could partially rescue the insulin secretion defect in Sirt6-knockout mice. In addition, we showed that SIRT6 directly suppresses Txnip expression by catalysing the deacetylation of H3K9 and H3K56 at the Txnip promoter region. Finally, we uncovered an unanticipated time-dependent increase in H3K9Ac, H3K56Ac and TXNIP levels in SIRT6 null beta cells, which correlates with a worsened insulin secretion defect and leads to increased susceptibility to the diabetogenic agent STZ. These findings clearly highlight the important roles of SIRT6 histone deacetylation activity in supporting beta cell function and viability (Fig. 9). Glucose-stimulated insulin secretion in beta cells is a complex process that requires coupling of cellular metabolism with ATP-sensitive potassium channels and subsequent activation of voltage-dependent calcium channel-mediated Ca2+ influx . Xiong et al observed a decrease in cellular ATP levels, accumulation of damaged mitochondria, reduction in electron transport chain protein levels and impaired Ca2+ influx in SIRT6-deficient beta cells . However, they did not identify the molecular mechanism linking these phenotypic findings with loss of SIRT6. We found that expression of TXNIP is upregulated in Sirt6 null mouse islets and that reducing TXNIP level by verapamil was able to partially restore the insulin secretion and largely rescue the glucose intolerance in mice. In agreement with our findings, TXNIP expression is negatively correlated with glucose-stimulated insulin secretion capacity in beta cells [29, 30, 31]. Importantly, Yoshihara et al demonstrated that genetic disruption of Txnip enhanced glucose-stimulated insulin secretion, whereas overexpression of TXNIP in INS1 cells in the first 48 h attenuated this process, likely through an effect on mitochondrial ATP production . Although Ucp2 was identified as a TXNIP transcriptional target in their study and presumably caused the reduction in cellular ATP levels , we did not detect significant changes in Ucp2 mRNA levels in our model. In addition, Song et al showed that loss of SIRT6 in beta cells stimulated transcriptional repression activity of forkhead box O1 and led to downregulation of its two targets, Pdx1 and Glut2 (also known as Slc2a2) . However, expression levels of Pdx1 and Glut2 were not changed in either of our models. These discrepancies could be attributed to differences in mouse genetic background and methodologies used in these molecular characterisations. However, it is still unclear how TXNIP affects insulin secretion in our model. Verapamil is a calcium antagonist and has been shown to inhibit insulin release in islets isolated from rodents [38, 39]. However, verapamil treatment has no significant effect on either glucose tolerance or insulin secretion in vivo [39, 40], consistent with our observations. Thus, our finding that oral verapamil treatment improved glucose tolerance and insulin secretion is likely mediated by Txnip suppression. As verapamil inhibits Txnip through an indirect calcium-dependent calcineurin pathway , genetically or pharmacologically attenuating TXNIP activity would be necessary for future studies to more precisely dissect the contribution of TXNIP to the SIRT6-deficient mouse phenotype. TXNIP mainly functions as an inhibitor of thioredoxin by antagonising its scavenger effect on ROS . Thus, upregulation of TXNIP is implicated in glucose-, endoplasmic reticulum (ER) stress- and STZ-induced cell death . We found that upregulation of TXNIP in SIRT6-deficient beta cells did not cause spontaneous cell death. Consistent with this finding, SIRT6 deficiency did not induce ROS accumulation in islets (data not shown). However, several genes in the oxidation–reduction pathway including Nqo1, Gstm7 and Dusp26 were significantly upregulated in the islets from Sirt6 EKO but not Sirt6 BKO mice (GSE104161). Whether this is a compensatory response to TXNIP-induced oxidative stress or the direct consequence of SIRT6 deficiency requires further investigation. We speculate that the progressive upregulation of TXNIP in SIRT6-deficient beta cells induces a gradual increase in ROS that the cells can cope with by upregulating the genes in the oxidation–reduction pathways. Genetic background of mice is a contributing factor to phenotypic variation, including metabolic traits and the response to STZ [37, 41]. However, the severity and time-dependent progression of the functional defects in our models, as well as the similarity between our EKO and BKO model, strongly suggest that these phenotypes are independent of mouse genetic background. Multiple studies have reported that the transgene-driven human growth hormone expression in the MIP-CreER mouse strain has a profound effect on gene expression and beta cell integrity [19, 42, 43]. Specifically, islets in MIP1-CreER mice are less sensitive to the cytotoxic effect of STZ . To avoid this potential confounding factor, mice carrying the Cre transgene were used as controls throughout the BKO study (ESM Fig. 4). In conclusion, our study demonstrates that SIRT6 is required for glucose-stimulated insulin secretion and cell survival in beta cells, partially via suppression of Txnip transcription. 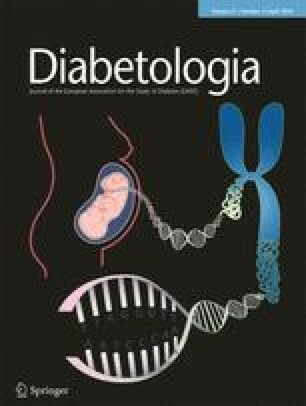 As defective insulin secretion and loss of beta cell mass are the main culprits of type 2 diabetes , our findings raise the possibility that preserving SIRT6 activity and expression could be beneficial in improving beta cell function and maintaining beta cell mass in individuals with impaired glucose tolerance or type 2 diabetes. We thank Y. Liu (Department of Cell Systems & Anatomy, Greehey Children’s Cancer Research Institute, University of Texas Health Science Centre at San Antonio, USA) for assistance in analysing the RNA-Seq data and thank C. Cervantes (Department of Pharmacology, University of Texas Health Science Centre at San Antonio, USA) and C. Dong (Biochemistry Molecular Biology, Indiana University, USA) for critical reading of the manuscript. KQ and PW were responsible for designing the experiments. KQ, NZ, ZZ, MN, ZXZ and JL were responsible for acquisition of data. KQ, NZ, KX, NM and PW analysed and interpreted data. KQ drafted the manuscript. All authors critically revised the manuscript and approved the final version. PW is the guarantor of this work. PW and KX are CPRIT Scholars and are supported by the Cancer Prevention and Research Institute of Texas. This work was supported by grants from the NIH (R01-DK80157 and R01-DK089229) and the American Diabetes Association to NM. This research also was supported by the San Antonio Nathan Shock Centre of Excellence in Aging Biology (P30 AG013319) and San Antonio Claude D. Pepper Older Americans Independence Centre (P30 AG044271).